A guide to optimizing resource usage and maximizing throughput on 3 popular Ruby app servers. A deep dive into the forking issue on High Sierra (which we linked in issue 368) and what workarounds exist. 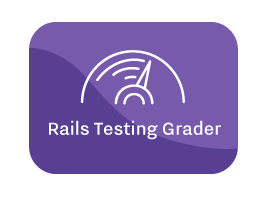 See how your Rails app stacks up against others — it takes only a minute to find out. Based on real-world data from SemaphoreCI.com. A search for the least intrusive and most efficient way to benchmark methods, accounting for objects allocated and thread issues. If you use Passenger 5 in production, you’ll want to upgrade ASAP because of this vulnerability. HTTP/2 support has also been added. Jupyter Notebook is an open-source web application that allows you to share documents with embedded live code. New features include automatic mapping, automatic struct object inference, and support for custom struct namespaces. Use Google Cloud Platform? New, in-beta gems for Stackdriver are now available. This is Rails-focused but could be simply applied to any web application. An exercise in building and testing page objects from scratch. Kevin Thompson hacked the video wall at Twilio's SIGNAL and shares how he did it with Ruby. .. that isn’t a simple chat application. A list of videos and other resources. It uses Prawn under the hood.